The following originally appears at The MMA Community forum and is published here with the permission of the author, Matt Hawkins. 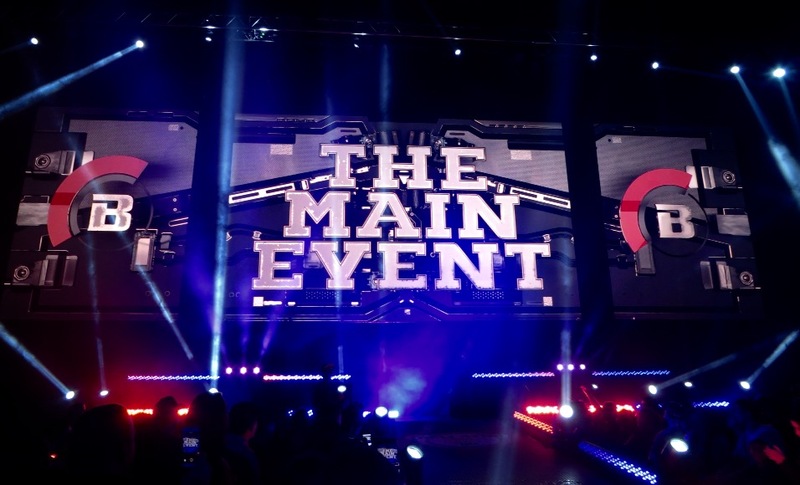 He wrote about his experience from Bellator 172 after appearing on this site's podcast, prior to the event so he was kind enough to share what he and other fans went through while Bellator was doing the best to save the fight card from March 4. Please read his story and comment below. “Say It ain’t so”! That was the message I received on my phone in my hotel room, while on my UBER app scheduling a ride to the SAP Center for Bellator 172. What was supposed to be the glorious stateside return of one of the greatest MMA fighters of all time, Fedor Emelianenko, quickly became a depressing reality that the fight would be canceled as the news of Matt Mitrione’s medical issues spread on social media. I had the unnerving privilege to inform the rest of my group of the bad news. 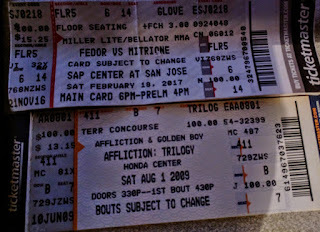 I reached a couple buddies who fought through flight delays with me to get to San Jose but that was nothing compared to letting a friend, who drove 14 hours for this event, know that the Fedor/Mitrione fight was in fact, not happening. After the realization set in we knew it was still time to go enjoy some of the best MMA that the sport has to offer. 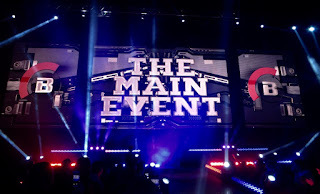 Bellator president Scott Coker let us know the show would still go on and we were now on our way to watch Bellator 172, with it’s new main event, Thomson vs Pitbull. As we approached the arena. We were informed that all tickets were eligible for refunds. Now, I’ve probably purchased tickets to more canceled bouts that any other person walking this planet. 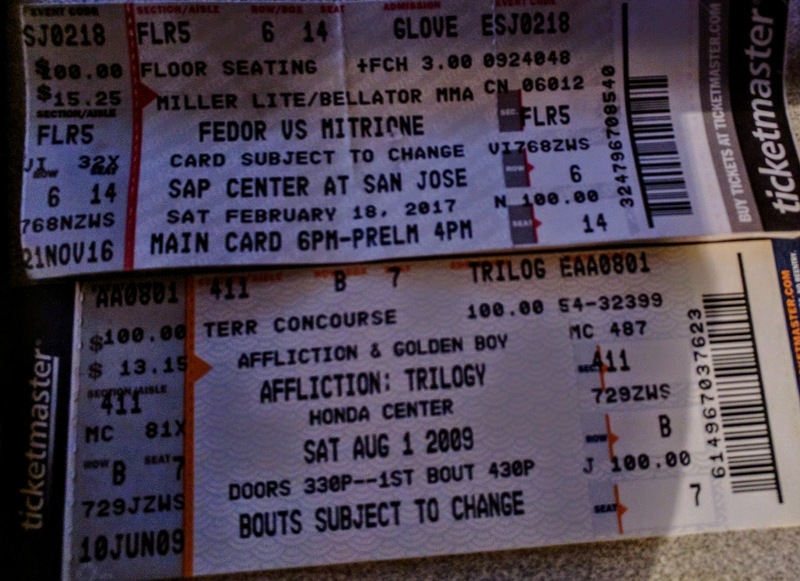 From NHB Cobra challenge fight day no shows to AFFLICTION Trilogy to UFC 200’s main event and more in between that I can't quite remember, but the day I arrive at an event and accept a refund rather than watch the fights is the day I will stop watching this sport. This was still a Bellator show after all and having attended 17 of them prior to this one, I knew they would do their best to give the fans their money’s worth. Upon entering the center, we immediately noticed the walkout ramp. A staple for bigger Bellator shows and a throwback to old UFC and Pride FC events. While I understand the reason the UFC doesn’t use it, I think that the ramp does something to make even average fights seem special. Bellator does a great job of using the video screens to give fighters a unique and personalized walk to the cage. It was now time to take our seats. For this event, I managed to get a group of eight cage side seats next to the walkout ramp. The tickets were priced at $100 each which is a good value when you compare them to the $2500 minimum that the same seats would cost for a UFC event. One thing clear, the venue was noticeably less full than previous San Jose shows that I’ve attended and one would have to wonder how the crowd was affected by less walk up sales and refunds that were given after the earlier announcement. With that said, the fans that were there seemed eager to watch some top shelf MMA and after about a half dozen prelims it was time to witness the main card. They kicked off with the very familiar face of former UFC title contender Josh Koscheck making his Bellator debut. He would be facing off with the little known Mauricio Alonso who entered with a record of 12-7. During some interviews prior to the fight. Koscheck commented that he wished BJ Penn would sign with Bellator to get more favorable matchups. Unfortunately for Josh as well as the crowd, there would be no chance for ring girl Mercedes to let us know it was round 2 as a perfectly placed uppercut by Alonso would send Koscheck backpedaling and covering his eye. A few second later he was down covering up while the ref stopped the bout. The first round TKO would be the biggest win in Mauricio’s career and he let fans know it in an emotional post-fight interview. 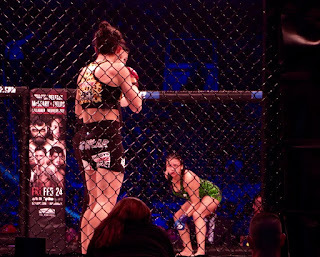 The second main card fight would be a back and forth battle between Brooke Mayo and Veta Arteaga. While possibly the fight of the night, it ended in some controversy as the bout was stopped by the ringside doctor due to a huge ugly hematoma that formed near Mayo’s left eye. Despite her pleas to continue the decision was made and Arteaga was named the winner by late 3rd round TKO. Both ladies showed skill and tremendous heart for two young fighters. They both seem to have bright futures and a rematch would certainly be something I’d be happy to watch. 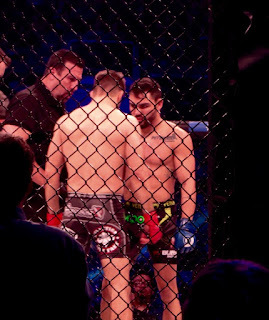 The next bout would see team Fedor fighter and rising star Anatoly Tokov dominate his opponent to a 2nd rounds TKO win. That was followed by a fairly uneventful decision win for Cheick Kongo over Oli Thompson in the co-main event. Kongo had no problem controlling Thompson on the ground and easily took a unanimous decision with 30-26, 30-25, 30-25 scores. Despite another dominant victory he didn’t seem to do much to change people’s minds about him being a fairly unexciting fighter. However, with 6 wins in 7 bouts following his narrow title loss in 2014 it's hard not to imagine a Bellator Heavyweight title fight in his future. Something that Bellator is great at is bringing stars to the arena. The amount of talent at this event was incredible and the access that fans have to meet and get photos with them is unparalleled to other organizations. Some of the big names in the crowd included names such as Nick and Nate Diaz, Don Frye, King Mo, Phil Davis, and Royce Gracie. Occasionally there would be an unexpected guest in the crowd. 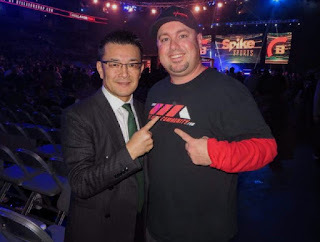 This night it turned out to be the chance to shake the hand of Nobuyuki Sakakibara, the former president of Pride Fighting Championships and current leader of Rizin. 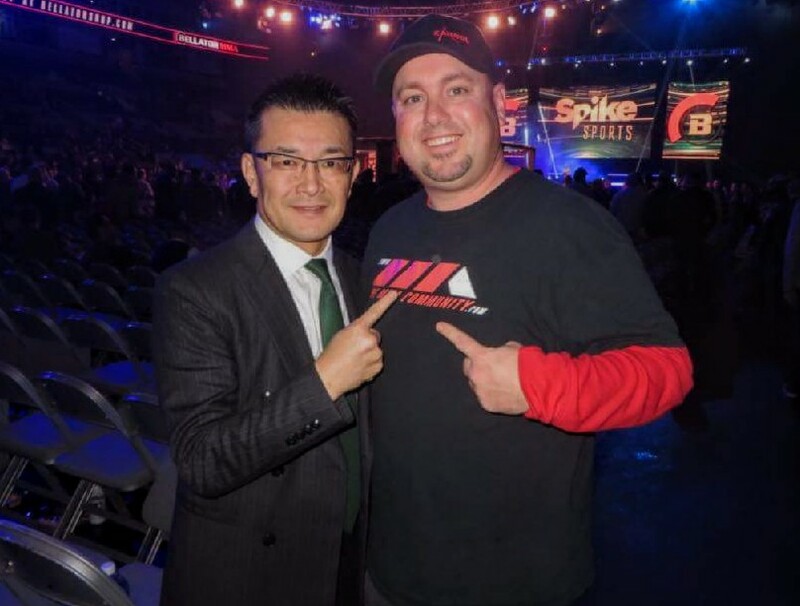 For any fan looking for the opportunity to meet fighters or MMA dignitaries, Bellator MMA constantly brings the goods. Now it was time for the main event. While not the one we came to see, it still pitted MMA veteran and always exciting San Jose fighter Josh Thomson versus the very violent Patricky Pitbull. Thankfully this fight had been booked as the co-main event so bumping it to the main slot allowed fans to end the night in exciting fashion. Pitbull did everything he needed to pick up the biggest win of his career in very little time. After dropping Thomson with a punch early in the first round, it would be a perfectly timed uppercut on this chin shortly after that would lead to the TKO victory. In his post fight interview, he called out Michael Chandler for the lightweight belt. 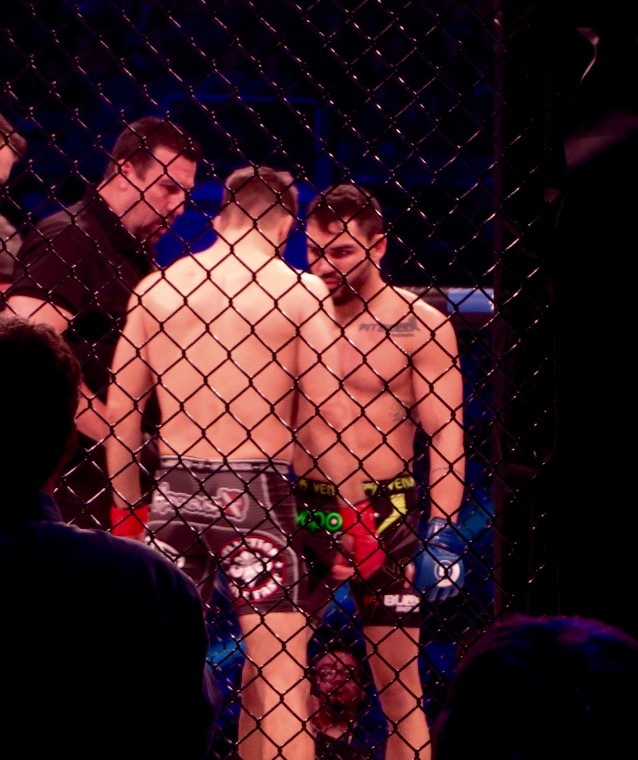 Chandler is already 2-0 vs Patricky including a devastating one-punch knockout win in their latest bout last June. However with the punching power that the Pitbull brother brings to the cage anything is possible including having both Patricky and Patricio wearing Bellator gold in the future. Considering the massive letdown prior to the show, I’d say Bellator did a nice job getting through the night still delivering the Bellator experience well worth the time and money of the fans who decided to attend. I very much look forward to the next west coast show and the opportunity to again attend a Bellator event. Although I started this article with the words “Say it ain’t so”, I very much want to hear Coker say, “It is so!” while letting the fans know when Mitrione vs The Last Emperor is rescheduled.